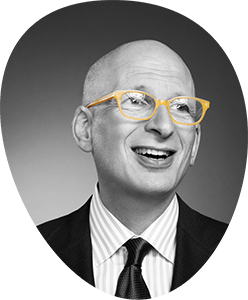 My site Seth Godin :: Free Prize Inside offers a free copy of my bestselling mini-e-book, “Really Bad Powerpoint” to anyone who buys a copy of my new book. This may shock you, but a large number of people are downloading the ebook without keeping their end of the bargain. Of course, I expected there would be a fair amount of leakage, but there’s quite a lot. This is especially sad because all the proceeds from the sale of the ebook on Amazon go to charity. The optimist in me believes that people who download it without buying are going ahead and making their own donation. But that’s not what astonishes me. What astonishes me is that several of the folks who took a copy then had the chutzpah to email me with with follow up questions about the book! (see above).